RTÉ broadcaster Miriam O'Callaghan's application for an order directing Facebook to provide her with information identifying those who have placed allegedly defamatory adverts on the social media platform has been adjourned. Ms O’Callaghan claims she has been defamed and intends to seek damages, over a series of false and malicious adverts containing her image and name on Facebook and Instagram in May 2018. The court heard she intends to bring proceedings against both Facebook, which owns Instagram, and the persons behind the adverts. Her lawyers do not know who is behind the adverts. As a result, she seeks a court order against Facebook Ireland Ltd requiring it to provide her and her legal team with information it allegedly has about those who paid for the adverts to be placed on the social media platforms. The matter was briefly mentioned before Ms Justice Leonie Reynolds today. Paul O'Higgins SC for Ms O'Callaghan said there had been talks between the parties in regards to the motion, and there had been what counsel said was "a certain offer". While counsel said he hoped the matter ultimately would not trouble the court, the sides had yet to reach an agreement in regards to the motion. Counsel asked that the application for the motion be listed for hearing before Easter. In reply, Maurice Collins SC for Facebook Ireland said his side required time to prepare a sworn statement in response to Ms O'Callaghan's motion. Counsel said he was taking instructions in this case from the United States and the case had raised "very significant issues on a broad basis from my clients perspective". Ms Justice Reynolds, after making certain directions in the case, adjourned the matter to a date in April. 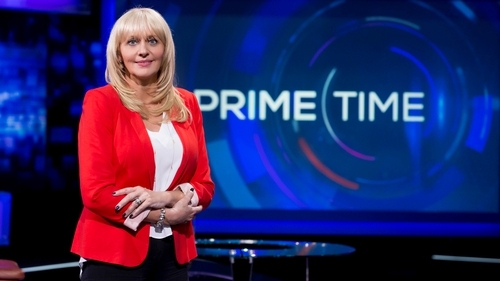 Previously the High Court heard that the adverts at the centre of the action contain various misleading and defamatory headlines wrongly suggesting that Ms O'Callaghan has left her job with RTÉ's Prime Time. Ms O'Callaghan says she has "nothing to do" with the adverts, which are linked to offers for skin care products. She is most distressed at being associated against her will with what has been described as "a scam product," the court heard. She claims the adverts have exploited the trust placed in her by the Irish public and have damaged her good name and reputation. The paid for adverts, known as "targeted advertisements" appear on social media user's newsfeeds, and are designed to encourage the user to click on the adverts. Those who click on the adverts are offered various skin care products, which she says are falsely stated to be owned or endorsed by Ms O'Callaghan. The pages also wrongly state that she has left her position in RTÉ to focus on the promotion of the skincare range, it is alleged. It is also claimed that users who avail of an offer of free trials of the skin care products have reported that had money debited from their bank accounts which they did not authorise. Ms O'Callaghan intends to seek a permanent injunction restraining the publication of the adverts, as well as damages for malicious falsehood, unlawful appropriation of personality, various breaches of her constitutional rights and defamation.